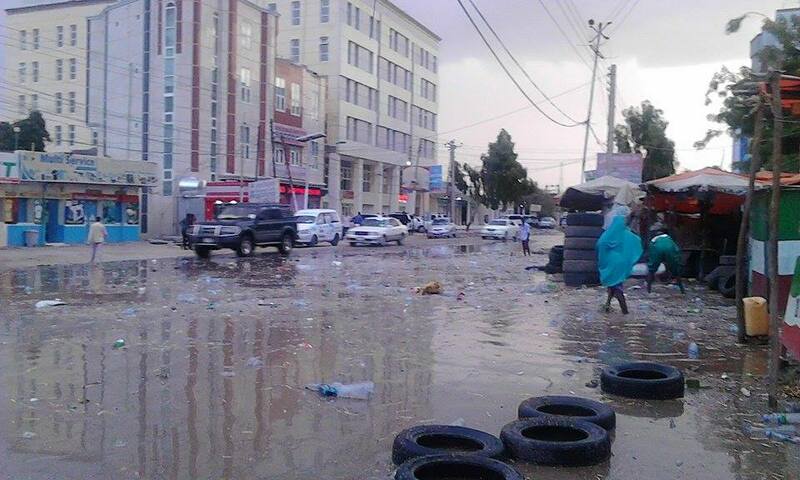 This is the scene of the flooded main street of Hargeisa yesterday afternoon. 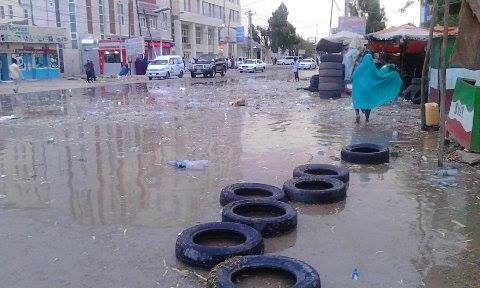 (Medeshi)- This is the scene of the flooded main street of Hargeisa yesterday afternoon. Floating plastic bags overwhelm the street after a water barrier and the open drainage/flood relieve built by the British during the colonial era overflowed and flooded the busiest street in the capital. Hargeisa has only one water relieve canal which begins from Gol Jano , passes by the Shidka and empties at the junction between Gargaar and Daallo office. This canal is usually filled with plastic bags as people throw garbage in it while the local government does not pick-up the rubbish from the canal. This has created a health hazard for the residents of the areas that the canal passes. Although people have complained many times about the scene of the rubbish in the canal and its health effects, the local government seems to have ignored the calls of the public. 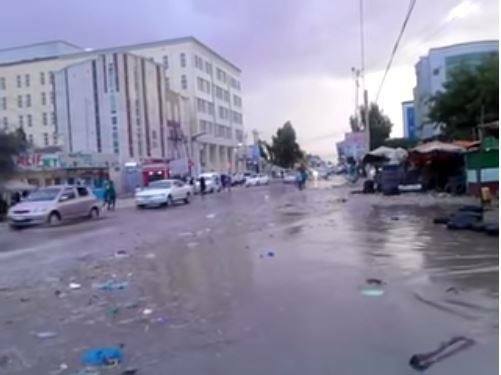 Neglect and failure of Hargeisa municipality to clean the streets of the capital has resulted the situation in the capital as can be seen in these photos .